This leather sofa will make a wonderful addition to your living room or den. 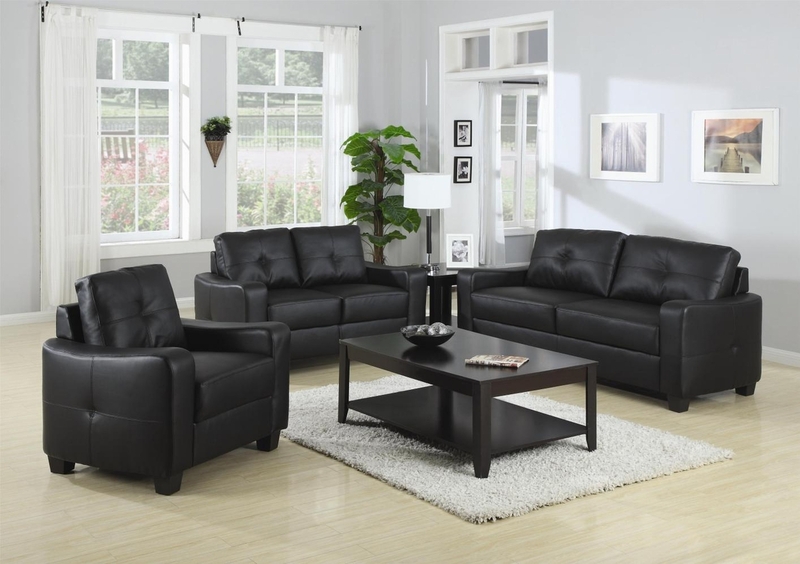 Its contemporary shape enhances any room with big, plush back cushions and box seat cushions. A stitched design adorns the back cushions, as well as the outsides of the square track arms. The slightly flared design creates an inviting feel, and tapered wooden block feet support this sofa. Pair with the coordinating love seat and chair for a lovely room setting. 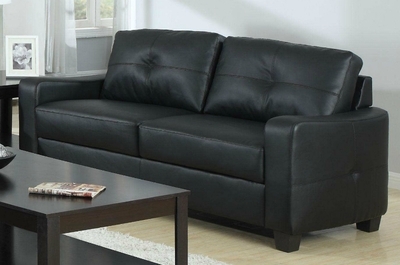 Choose from smooth white or rich black bonded leather to complete the look of this sofa.